November 4th is a date of high goals and aspirations, that bring us in tune with the person we wish to become in this lifetime. There is a strong presence of earthly energies at this time, and people born on this date tend to be practical and focused on fixing what is broken and issues that require long-term commitments in order to reach their full potential. They won’t waste much time on irrelevant matters, and this might make them a bit inflexible for other people's needs. Although Saturn and the Sun often present themselves in conflict and troubles with father figures and authorities, people born on November 4th understand that they are in the right place at the right time and won’t be easily distracted from things that matter to their core of personality. They may become stiff and inflexible. Still, their role in the world is important as they bring beauty into the most tedious of routines and find love in difficulties, understanding the necessity of pain in order for each individual to grow. In their search for balance, they might get too tired and lose sight of their physical limitations and require enough time to rest and release the spasm in their body that tends to build up. There is a sense of ease in the most restricting and difficult circumstances seen in these symbols, and we can see that the role of Saturn in the planetary row of individuals born on this date isn’t so much to obstruct as it is to lead them to the "other side" of limitations of the world. They will find joy and beauty in large systems, in matters of the state, the law, and in places where others would hide from, dealing with their painful issues in unusual ways, wearing a smile on their face. Building their ability to see the positive side to any circumstance, they become balanced and help others find their way through struggles in life. Venus calls on those born on November 4th. 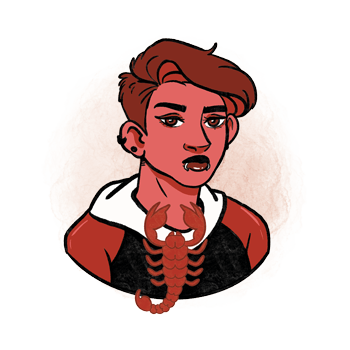 With their Sun set in Scorpio where it isn’t exactly clear how colorful life can be when one goes with the flow of emotion, it may be quite a challenge to move on to relaxing and nurturing activities that will fill their heart with joy. They need to find balance between their professional and emotional worlds, and attend to relationships that make them happy instead of sticking with choices that haven’t proven to fill their heart with positive emotions. They need enough time for rest and care for their body and soul, and as Venus takes a hold on them, they will find that their entire life can revolve around things they enjoy and love. 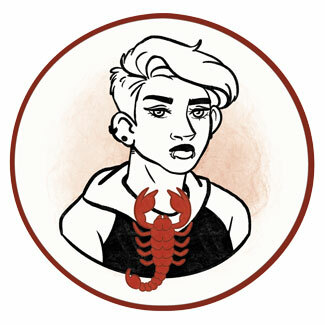 In search for the right relationship they can put their full focus on, Scorpios born on the 4th of November may try themselves out in bonds that don’t make much sense to the outer world. It is important that they aren’t too distant from others, ready to open up to painful experiences so they can heal and move on to higher stages of relating as life goes by. They tend to form solid relationships that last when their dignity is high but might stay a bit too long around people who don’t exactly make them happy trying to be loyal and respect decisions made in the past. It is one of their tasks to learn that they have the right to change their mind and get out of circumstances that drain their energy away or make them feel sad, lost, or incomplete. They are to stay in love, flow with emotion, and let go of past experiences that bruised them with understanding and faith. Although their contacts with others may get difficult, they serve a much larger purpose and make them stable on their own grounds. They need a loyal partner, someone to give them strength instead of taking it away and won’t feel good in relationships where they are meant to be the sole pillar of support and endurance through hard times. Individuals born on November 4th are builders, architects and planners, those who find beauty in tedious and tiring approaches and matters. They find the right direction to pursue when they realize that things in life don’t have to be hard, even though convictions of their ancestral line taught them to fight through hardships rather than follow an easy way out. With their balance discovered, they become wonderful artists, singers and party planners, as well as all those who help people find each other for love and shared future to be built. Spessarnite garnet is a good stone for people born on November 4th as a stone of harmony and regeneration, directly affecting points in their physiology that need to heal. It aids creativity and imaginative thinking, moving one from inflexible choices that bring unease to their inner state. It may help one let go of unconscious fears and spasms, while protecting them from dangers of the outer world with its compassionate energies coming from Mother Earth itself. A birthday gift for individuals born on November 4th may be a beautiful piece of art to put in their living room, as well as all forms of support for their chosen professional path if they are as ambitious as they tend to be when they’ve made some right choices. They will understand presents with a deep message, antiques, old and worn things that have special value, and could always use a healing stone or something to support their structure and their efforts in the material world. Stable, structured and ambitious, they get far once they have something valuable to hold on to. Finding beauty wherever they look, they deal with pain in incredible ways and inspire others to do the same, raising their awareness until they heal through loving contact. Stuck and inflexible, holding on to past choices, they may become grumpy or difficult to relate to as they close their heart for interactions that might help them grow, trying to avoid getting hurt by contact with others. In 1916 Ruth Handler was born, an American businesswoman known as the woman who invented Barbie doll, inspired by limitations of paper dolls her daughter Barbara played with. In 1960 Kathy Griffin was born, an American comedian and actress, the first comedian to have four televised specials in a year. She is known for her controversial statements on religion, sexuality and celebrities. In 1969 Matthey McConaughey was born, an American actor and producer, known by his roles in The Wedding Planner, True Detective and Interstellar. His parents married each other three times, divorcing twice from one another. 1737 – The oldest working opera house in Europe is inaugurated in Italy. 1847 – Anesthetic properties of chloroform are discovered by Sir James Young Simpson (born on June 7th). 1890 – The first deep-level tube railway in London opens. 1924 – The first time that a woman is elected s governor in the U. S.
1962 – Operation Fishbowl ends its final above-ground nuclear weapons testing. 2008 – Barack Obama (born on August 4th) is elected President of the United States, becoming the first person of biracial or African American descent in this position.